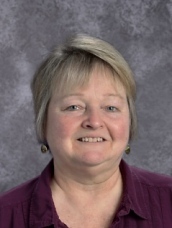 Originally from Vermont, Mrs. Deborah Waisanen received a degree in special education and elementary education from St. Joseph the Provider just prior to moving to Alaska in 1981. Mrs. Waisanen has taught young children for many years at the Mat-Su School District and still enjoys building a foundation for lifelong learning for all of her students. As well, she has served as both a state and international reading board member in the past. Mrs. Waisanen has been part of OLV's faculty since 2010. A longtime local philanthropist, Deb's attention to worthwhile causes infuses much of the charitable work of our school. She has been a past vice president to Family Promise and was the event coordinator for MY House, both organizations that work with homelessness here in the Mat-Su Valley. Although teaching and being a grandma take up most of her volunteer time, Mrs. Waisanen still organizes a CHAIR-ity auction each spring and encourages the community to artistically design chairs to auction off during Colony days. All proceeds to go homeless teens and young adults in the valley.